This archive contains an album of photos of flooding in East Meon in the 1950s. 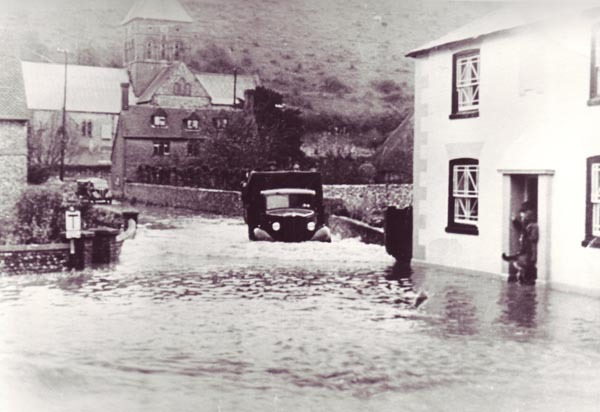 Most of the photographs were taken in 1953, when the river Meon burst its banks and swamped the High Street and Church Street. The flooding was largely caused by the right-hand turn which confronted the flow as it flowed down to The Cross. As a result, the river Meon later underwent signficant re-engineering, with a culvert opened beyond The Cross, joining the previous route of the river at the bridge in Workhouse Lane.